New Steine 1905. It was then just over 100 years old, having been laid out at the close of the 18th century. 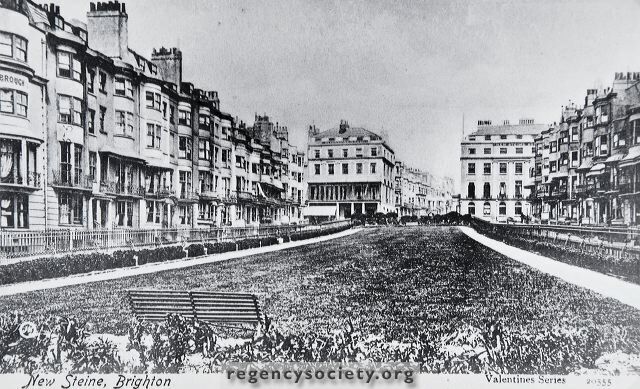 The two large houses facing the sea were respectively Devonshire House and New Steine Hotel.